Helping your tween decide on the best Halloween costume is never an easy task. While they may have some ideas, it may be out of your price range or just something you’re not comfortable with them wearing. 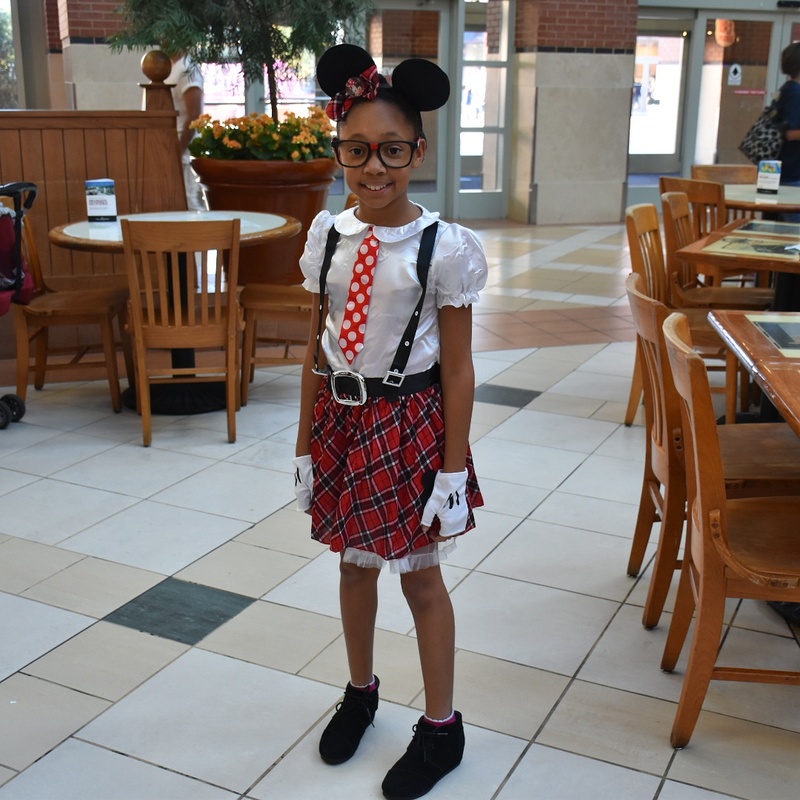 Today, I’m sharing with you some tween Halloween costume ideas that should make it easier for you and your tween to agree on something that you both can love. Dr. Seuss is a childhood staple that you probably you and your tween grew up reading. Let’s face it, everyone loves Dr. Seuss, so if your tween wants to dress up in a costume in this theme you can’t go wrong. Tween girls may want to wear a Thing 1 and Thing 2 costume set with their best friend, which could be as simple as purchasing a jumper dress, headband, and Dr. Seuss themed socks. While tween boys could dress up as the Cat in the Hat. Most tweens still find pirates to be cool and the best part is this is another unisex Halloween costume idea that could work for both boys and girls. For a girl, you could do something as simple as getting a pirate hat, jacket, shirt, and sword, which would pair nicely with some leggings. While boys could go with a vest, hat, shirt, and sword. Do you have a tween son or daughter that is obsessed with Robin Hood? This could be the perfect Halloween costume idea for them. Girls could do something as easy as a cloak, bow and arrow, and a cape paired with some black or green leggings while boys can do a jacket, bow and arrow, and some boots. Is your tween daughter a fan of Anna? Why not let her rock an Anna Halloween costume this year? There is an assortment of different ones available at costume stores or you could get creative and make one at home yourselves. Cinderella is another favorite costume idea among tween girls. As with the Frozen themed costume, you have the option of purchasing a Cinderella Costume for her or if you want to save some of your coins you could create your own costume at home that will look just as good as any store bought one. Who says that tween boys are the only ones who can wear sergeant costumes? Not this Halloween! Girls can easily dress up in a Sergeant Costume that can feature a dress or skirt while boys can stick to the more traditional pants styled sergeant costumes. Mummy costumes are a great option for your tween that wants to have a little bit more of a scarier effect this Halloween. Girls can go with something like a dress, stockings, and headband mummy costume or a pants and shirt version of the mummy costume (for those who aren’t a huge fan of dresses). Additionally, boys also have the option of dressing up as a mummy, which could be a full set mummy costume that includes the face mask as well. Teenage Mutant Ninja Turtle more of your tweens speed? If so, consider a dress Teenage Mutant Ninja Turtle costume with accessories for your daughter and your tween son could dress up in a Ninja Turtle costume that reflects his favorite turtle from the squad. Now, as a bonus, I’m going to provide you with some DIY Tween Halloween Costume ideas because who wants to spend hundreds of dollars on Halloween costumes that are only going to be worn once. Favorite Woodland Animal – Simply throw on some makeup and animal colored clothes on your child and they are good to go as a deer or other woodland animal. Zombie – This is as simple as getting a zombie makeup kit, some old clothes that you don’t mind cutting/ripping up, and some red paint. Favorite Celebrity – Look through your child’s favorite celebrity’s photos and find a child approved outfit and purchase a similar one. This will be an awesome Halloween costume and they can wear the clothes throughout the rest of the season as well. Twins – Does your tween and their bestie want to dress similar? Go for matching outfits and they can be twins. Just like the favorite celebrity outfit idea, you will have to invest in new clothes but they can be worn as regular clothes afterwards. As you can see from my ideas above, the options are limitless when it comes to what your tween can be this Halloween. While they’re at an age where they can provide some insight on what they want to be, if you don’t like their suggestions try to suggest some better ideas that they are sure to love and it keeps you happy as well. What will your tween be dressing up as this Halloween? Make sure to share your responses in the comments below because you never know who may be able to use your inspiration to help their tween decide on their Halloween costume.